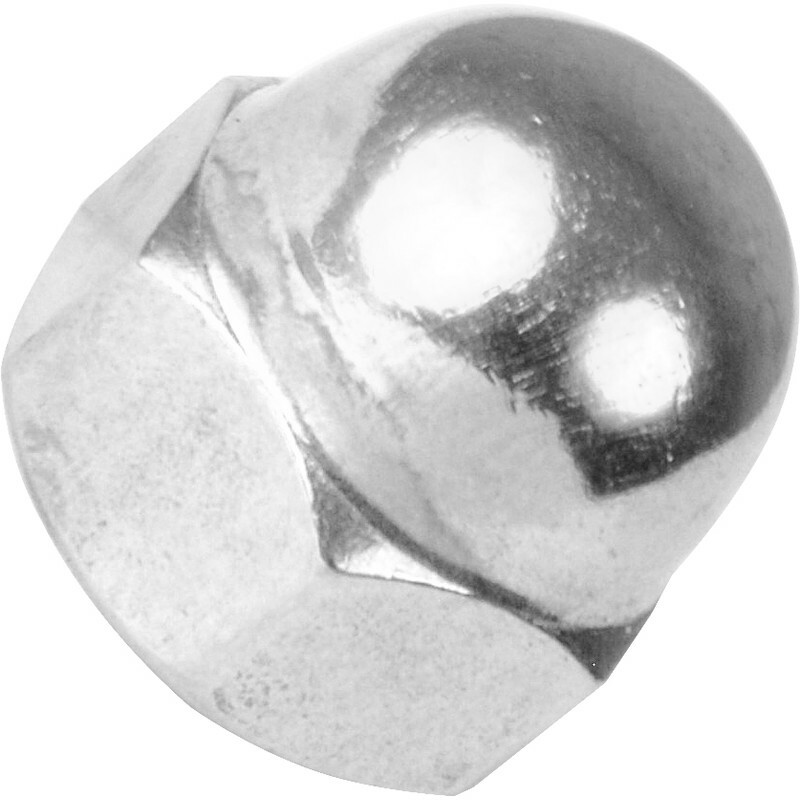 Stainless Steel Dome Nut M8 (10 Pack) is rated 4.8 out of 5 by 17. Rated 5 out of 5 by Plumbobs from SS dome nuts Perfect for the job des away with any sharp edges . Not sure if they will eventually rust. That’s why only 4 stars for performance. Rated 5 out of 5 by Ric 248 from Nice finishing touch I have used these in M6, M8 and M10 sizes. Stainless steel so no corrosion problems, well made BUT the great thing is the finished job looks really good when compared with a hex nut with thread sticking out. Not an expensive luxury. Rated 5 out of 5 by deauville from As described Appear to be of good quality and have done the job they were purchased to do. Rated 5 out of 5 by Sparker from Just the job Good polished domed finish to cap off the visible end threads of some stainless set screws retaining an exterior lighting panel. Just perfect and looks good - very cheap too.